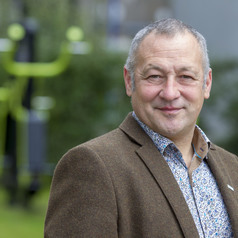 Dr Sebastien Chastin is a Professor of Health Behaviour Dynamics at Glasgow Caledonian University in the School of Health and Life Science and Professor at Ghent University in the department of Movement and Sports Sciences. His research focuses understanding how human spend their time and how this impacts their health. Understanding why, when and how people decide to move or not, is crucial to promoting healthy movement behaviour.